In May, AIP Foundation organized multiple events in support of the Third UN Global Road Safety Week, themed “Children and road safety.” At these, we presented the Child Declaration for Road Safety to government officials and road safety community leaders and advocated for safer roads for all children. AIP Foundation, with the help of Ministries of Education and supportive schools, has collected over 500,000 signatures in Cambodia, China, Thailand, and Vietnam supporting the Child Declaration. We received strong commitment while delivering these signatures to leaders and officials. I would like to thank those of you who also signed the Declaration. We are grateful for your support for making roads safe. Please read more about our activities and achievements during May below. In March, Pope Francis donned a helmet in the Neapolitan dialect during a mass in Plebiscito square in Naples. The helmet reads, "May the Madonna accompany you." Following the success of other movements, such as the "Pink October" and "Blue November," which raise awareness of breast and prostate cancer, "Yellow May" promotes awareness of the responsibilities and risk assessment of road behaviors. “Yellow May” strives to coordinate action and mobilize the involvement of government agencies, companies, associations, federations, and civil society organizations to effectively discuss road safety, engaging in actions and spreading awareness to every citizen. Learn more about Yellow May here. US mathematician John Nash, who inspired the Oscar-winning film "A Beautiful Mind", has died in a car crash with his wife, police said. Nash, 86, and his 82-year-old wife Alicia were killed when their taxi crashed in New Jersey. The mathematician is renowned for his work in game theory, winning the Nobel Prize for Economics in 1994. In response to UN Global Road Safety Week and in accordance with the National Child Helmet Action Plan, the Ministry of Transport (MOT) collaborated with WHO and AIP Foundation to launch strengthened public awareness of child helmet use for secondary school students. The MOT also distributed 400 Protec helmets to students at Tan Dinh Secondary School in Hanoi at the event, 100 of which were donated by AIP Foundation. A midterm review of the National Child Helmet Action Plan was organized by National Traffic Safety Committee, National Traffic Police (C67), Ministry of Education and Training, and AIP Foundation. Delegates from ministries, departments, and provincial levels across Vietnam shared implementation experiences and discussed the direction for the Action Plan’s next phase. 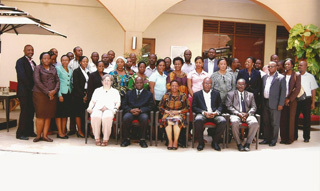 The review also celebrated achievements since its implementation. In March 2014, baseline observations found average helmet use among primary school students across Hanoi, Ho Chi Minh City, and Danang to be 38%. After the launch of the National Child Helmet Action Plan and related police enforcement, child helmet use increased to 68% across the three cities. Hanoi experienced the greatest increase: from 23% in 2014 to 64% in 2015. FedEx Express, in cooperation with AIP Foundation/Safe Kids Vietnam, recently organized a Traffic Safety Forum for Children during UN Global Road Safety Week. Select students from Ho Chi Minh City joined a panel discussion to discuss road risks and hazards they encounter when walking to school. Students presented their concerns and proposed road safety solutions to leaders from the Ho Chi Minh City People’s Committee and National Traffic Safety Committee that will enhance the safety of pedestrians and improve walking environments in high-traffic areas. At the event, Mr. Nguyen Trong Thai, Chief Secretariat of NTSC, was presented the Child Declaration for Road Safety. Jake Dojcinovic, a volunteer for AIP Foundation under the Australian Volunteers for International Development (AVID) program, shares his experiences as a Road Safety Education Officer with AIP Foundation in a documentary created by the Australian Embassy in Vietnam. Jake helped develop a road safety education curriculum with AIP Foundation. Minister of Transport Dinh La Thang announced the National Traffic Safety Committee’s (NTSC) new helmet program “Love for your people, love for your family” in response to UN Global Road Safety Week. Under the program, NTSC will support the distribution of helmets to students from at-risk communities as part of the National Child Helmet Action Plan. In attendance was one of AIP Foundation’s project school students, Nguyen Duc Thinh, who was involved in a serious crash case in 2013. Thinh re-told his crash story at the event and read a letter calling for the Government to take action for road safety. He presented collected signatures supporting the Child Declaration for Road Safety to Minister Dinh La Thang, who responded that action is necessary to protect children. Read Thinh’s crash story here. In celebration of the 20th anniversary of diplomatic relations between the United States and Vietnam, the U.S. Department of State and AIP Foundation signed a Memorandum of Understanding (MoU) at the U.S. Embassy in Hanoi. The MoU formally launches the Public Private Partnership to raise funds from U.S. and Vietnamese corporations to provide helmets and road safety education to students in provinces across Vietnam. Under the partnership, AIP Foundation and the U.S. Embassy Hanoi will organize events and helmet donations supporting the pre-existing Helmets for Kids program. The goal is to provide educational activities and helmets to 25,000 children from at-risk schools across the country. Attendees at the signing included Ted Osius, U.S. Ambassador to Vietnam; Greig Craft, President of AIP Foundation; Claire A. Pierangelo, Deputy Chief of Mission of the U.S. Embassy Hanoi; Joakim Parker, Mission Director of USAID in Vietnam; American Chamber of Commerce (AmCham) Board of Governors from Hanoi and Ho Chi Minh City, and Adam Sitkoff, Executive Director of AmCham. View photos from the signing here and on Ambassador Ted Osius’s Facebook here. Two representatives from the U.S. Centers for Disease Control and Prevention's (CDC) National Center for Injury Prevention and Control visited Hanoi, Ho Chi Minh City, and Phnom Penh. Dr. Erin Parker, PhD, is a Health Scientist and Mr. Dave Ederer, MPH, is a Researcher in the Division of Unintentional Injury Prevention. During their visit, Dr. Parker and Mr. Ederer met with AIP Foundation's offices in each city, the Hanoi School of Public Health, the Ministry of Health, the National Traffic Safety Committee (NTSC), the World Health Organization, the Ho Chi Minh City Public Health Institute, Handicap International, and CDC offices in Vietnam and Cambodia. The phrase "I Love Helmets" was heard among students across Ho Chi Minh City as part of a family event encouraging helmet use. Organized under AIP Foundation’s Helmets for Kids program, the event included a poster exhibition, creative road safety competitions, and several interactive road safety games to improve the awareness and significance of child helmet use. This family event was the first-ever citywide gathering for school students and their families to participate in road safety activities together. A helmet donation ceremony took place in Hanoi on the occasion of the U.S. Assistant Secretary of State Charles H. Rivkin’s visit. Co-organized by AIG, this is the first event to take place under the new partnership between AIP Foundation and the U.S. Department of State and is one of many that supports the 20th anniversary of normalized diplomatic relations between the U.S. and Vietnam. Assistant Secretary of State Rivkin participated in a symbolic helmet handover at the event that represents the U.S.-Vietnam shared vision of a safer future for its children. Helmets were distributed to all 671 students and teachers. Policymakers play a pivotal role in addressing the public’s compliance of the new Road Traffic Law through action plans. AIP Foundation organized a three day training workshop with 44 policymakers to finalize draft national-, provincial-, and district-level government action plans enforcing helmet use. Workshop attendees further developed three-year action plans drafted earlier this year with support from AIP Foundation’s “Head Safe. Helmet On.” project. Additionally, the National Ministry of Education discussed details for an education-sector action plan, to be finalized after the workshop. The Child Declaration was presented to the Secretary General of the National Road Safety Committee and Deputy Director of Central Department of Public Order from the National Police at the workshop. During UN Global Road Safety Week, 96 new entrance students received helmets with support from Manulife (Cambodia) Plc. The event took place at Sampov Meas Primary School and focused on raising students’ awareness of safe road behaviors while calling on authorities to commit to safer roads for children. More than 100 Korki Thom Commune community members gathered to receive messages on the motorcycle passenger helmet law, the importance of helmet wearing, the road crash situation in the commune and Cambodia, the commune’s plan to increase passenger helmet wearing, and AIP Foundation’s support. Community members also had the opportunity to raise questions and concerns with guest speakers. Cambodian Prime Minister Hun Sen called on all drivers to respect traffic laws after a road crash killed at least 18 garment workers and injured 21 others in eastern Svay Rieng Province. "The problem of traffic accidents is getting worse and worse in Cambodia. This requires all drivers to strictly comply with traffic laws," he said at a graduation ceremony of students at the Royal University of Phnom Penh. He also ordered officials to enforce traffic laws so as to reduce road traffic fatalities. As part of UN Global Road Safety Week, AIP Foundation and Save the Children presented more than 12,000 pledged signatures to M. R. Sukhumbhand Paribatra, the Governor of Bangkok. The petition calls for schools in the Bangkok Metropolitan Area to have a greater role in raising road safety awareness and establishing a helmet wearing policy for all students. The project has received continuous media attention since the submission. On May 15, Ms. Ratanawadee Hemniti Winther, Chairperson of AIP Foundation in Thailand, was interviewed by Channel 3 to discuss helmet innovations and The 7% Project. On May 18, Ms. Winther and Ms. Arunrat Wattanapalin, Project Coordinator from Save the Children, were interviewed by Metro TV Channel. Ms. Winther discussed both AIP Foundation and The 7% Project. You may shake your head in disbelief when you learn that reckless drivers who cause fatal accidents in Thailand can walk away without a jail sentence. Based on a number of court verdicts, most drivers charged with careless driving resulting in death, do not face a jail term as long as they do not flee the scene, show humanity by trying to help the victims, and offer compensation. They must also report the incident to police officers immediately. In addition, if they have no previous criminal record, courts tend to be lenient and hand down a suspended jail term. Where is the sense of justice? On the first day of UN Global Road Safety Week, 37 Walk Wise project schools held an event to read the Child Declaration for Road Safety and 20 project schools’ students signed Child Declaration boards. AIP Foundation in China has collected nearly 26,000 signatures supporting the Child Declaration. Previously, from 20-30 April, 16 project schools organized student composition contests on road safety. Students wrote what they needed in order to feel safer on the roads. Each school chose the best composition as their school’s Road Safety Declaration. Students from Kai Xian Hanfeng No.1 and No.5 Primary Schools joined traffic police officers to teach pedestrians how to cross the road safely. Students stopped pedestrians crossing the road on a red light and informed them that they must wait until the light is green. Over 30 students from the two schools distributed 800 flyers on road safety, which focus on children’s safety when walking with adults. Principals from 15 Kai County Walk Wise schools, along with around 400 students, teachers, and parents attended a road safety ceremony at Hanfeng No.6 Primary School in Chongqing supported by Chevron to celebrate UN Global Road Safety Week. The event was designed to educate students and the community on safe road behaviors and increase their awareness through educational road safety games, student performances, a photo exhibition, and speeches from stakeholders. Additionally, nearly 26,000 signed road safety Child Declarations were presented to officials by children from the 37 project schools. Every year, at least 200,000 people die as a result of road accidents in China, the World Health Organization said. The number is more than four times the death toll from such accidents published by the Chinese government. "Much more needs to be done to spur the adoption of measures to raise road safety, especially with respect to children," Bernhard Schwartlander, the WHO's representative in China, wrote Wednesday in a commentary published in the China Daily, a government newspaper. Health advocates have called for a “heavy crackdown” on traffic offenders to reduce the over 200,000 road crash victims the country registers every year. They want every vehicle on the road to be in “acceptable mechanical condition;” every motorist on the road to have the “proper competence” to drive; and every road user to be sensitized to road safety practices. No boda boda should be on the road without a two helmets—one for the cyclist and the other for the passenger—and no child should be transported on a boda boda without an adult accompanying them. The Bloomberg Initiative for Global Road Safety 2015-2019 Tanzania project was launched during a stakeholder meeting from 9-10 April, 2015. At the meeting, it was agreed that a Project Coordinating Committee would be formed in Tanzania to oversee implementation of the project. AIP Foundation, operating under Helmet Vaccine Initiative- Tanzania, has been selected by the Ministry of Health and Social Welfare to be a member of this committee. Nine of the twelve selected committee members are government ministries. A silent but vigorous campaign has been launched to tame the scourge of road carnage, which have claimed the lives of thousands of people in the country. With the theme "Reaching your destinations safely is your right," the countrywide drive launched by a private firm, Transevents Marketing Limited, aims to promote safe driving by recognizing good bus drivers with awards. Millions of Tanzanians travel by buses every year.